Sunday, April 28th we will be holding Mom & Me Unicorn Photo Sessions in Lees Summit, MO! 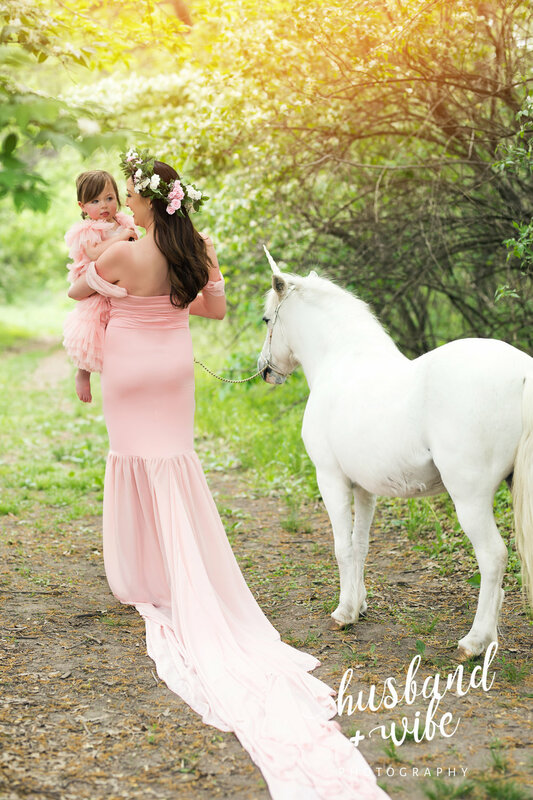 These Unicorn sessions are the perfect Mother's Day experience! We get the sweetest pictures! All ages work perfectly! Location will be at a beautiful spot next to the lake in Lees Summit. We will have a moss covered Floral Chair & Boho Teepee as prop options for this session date. The session cost is $299. A $139 non refundable deposit is due upon booking to hold your spot with the remaining balance of $160 due the day of your session. The session fee includes 20 minutes of session time, 20 edited high resolution images, a print release and online downloading gallery. Send a message or email to Terri@husbandandwifephoto.com for more info! *More than 2 participants can be in the photo sessions they will just share the 20 images. An email with detailed directions will be sent out the Wednesday before the sessions. If you have not received your confirmation the Wednesday before your session please reach out to us to confirm details. In the event of inclement weather a reschedule date will be given. If you cannot make the reschedule date your deposit can be used towards a regular portrait session. *With the Unicorn being rented your deposit is made to hold your specific time and date. In the event you need to cancel your session the deposit is non-refundable and non-transferable to another Unicorn Session date. If you need to cancel and would like a new spot you will need to place a new deposit on a new time and date. You may also sell your spot to a friend however we are not able to advertise the spot for you. If you would like more time with the Unicorn, additional images, outfit changes and/or more prop options please inquire about scheduling a private 1 hour session. One hour private sessions are $550 and include 1 hour of session time, 40 edited high resolution images, a print release and online downloading gallery. $300 is due upon booking with the remaining $250 due the day of your session. Private sessions get their choice of props and waived dress rental fees. Depending on sunset we may need to move the sessions up an hour. In the event we need more light we will give at least a weeks notice. Please allow time in your schedule for this flexibility if it is needed. You can find booking information HERE!